Meet our friend Jada! 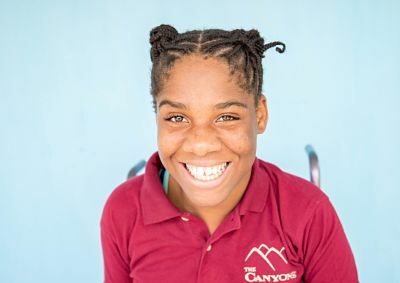 She is 15 years old and lives at Blessed Assurance in Jamaica. Jada has been with Mustard Seed Communities for eight years now and we feel so blessed by her presence each day. Jada's beauty is not only gorgeous in her smile but in her big heart and kind personality too. It doesn't take long for each person she meets to feel a little bit more joyful and inspired. We are so lucky to have Jada around to share her friendship with us every day!